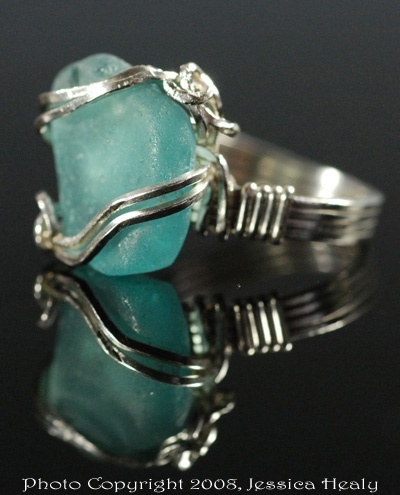 This seaglass ring is made with a beautiful piece of deep aqua color. Rare to find a color so deep. Wrapped in sterling silver swirls. This is a size 7 3/4 almost an 8 in measurement.